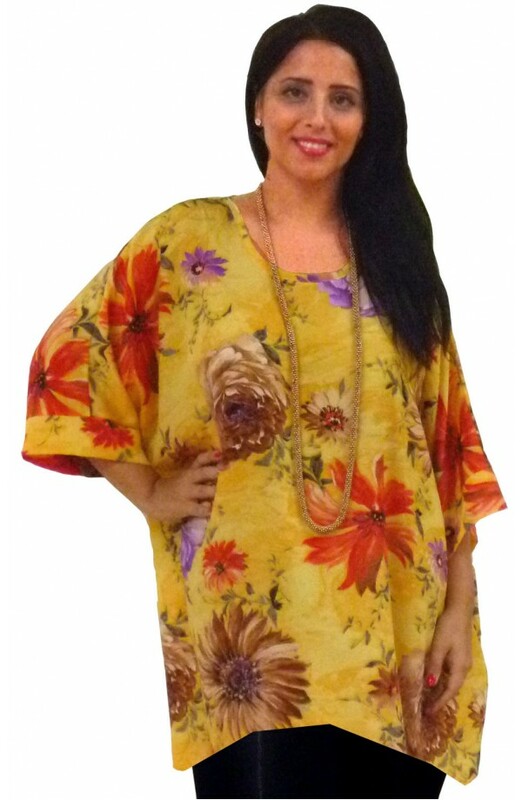 This is a kaftan top in fabulous soft polyester. It has a trendy fashionable large floral design. A luxurious quality of polyester, this design is unique and looks beautiful. Suitable to loosely fit UK dress sizes 14 to 30. 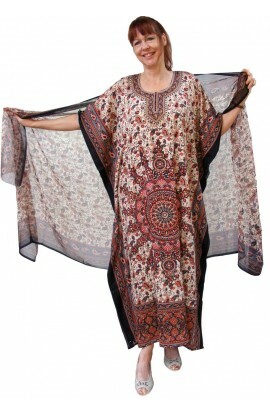 Back length is 31"
Please note that the IMAGE was adapted from a taller image of the kaftan, but gives a reasonable idea of what it would look like as a top.